I was let out for the afternoon today, so I headed into town and my first stop was a local craft/food market, which I’m ashamed to say, I’d never been to before. It was a feast for the eyes, and the nose, with so many wonderful foods and creations to look at. Then it was time to meet up with 2 lovely people. 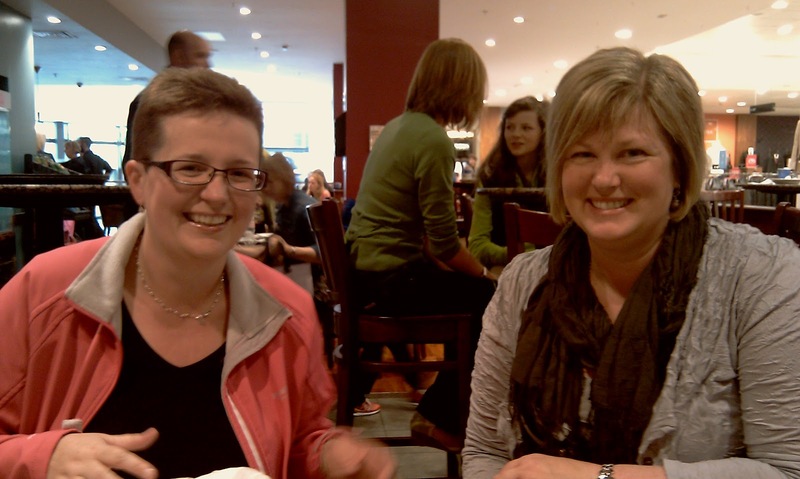 My friend Sarah, and Di, a bloggy friend and FQR attendee, who is in Belfast this weekend. We plonked ourselves down in a coffee shop and didn’t move for the next 3 hours! It was a wonderful afternoon of chatting, laughing and sharing! 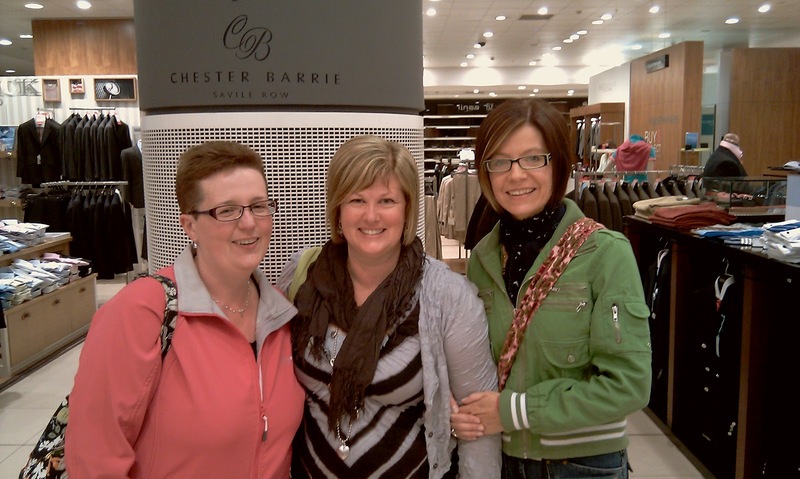 We 3 bloggers have much in common, so the time went by in a flash! Before we left, we accosted a young and trendy shop assistant to take some pictures of the 3 of us! The poor chap seemed to know we don’t get out much so he just humoured us! And then sadly it was home time! Back home on the bus to laundry, dishes and family movie night! I’ve also been having a free motion quilting fest the past 2 days, which I’ll tell you about another time! Previous Previous post: Carry on Regardless! Next Next post: Pippi Quilt is Finished!